Sight offset at 7 yards? So I recently snagged a PS90 tri-rail, very excited to have it. Would have bought one years ago but only recently joined a free state. Anyway, the only thing that concerns me is the sight offset, using a ruler it looks to be nearly 4" over the bore. For those who have their PS90's sighted in at 50 yards, where is the point of impact at 7 yards? Re: Sight offset at 7 yards? spyderco monkey wrote: So I recently snagged a PS90 tri-rail, very excited to have it. Would have bought one years ago but only recently joined a free state. Just to make sure, it's a true tri rail? Yep that's a true Tri Rail. 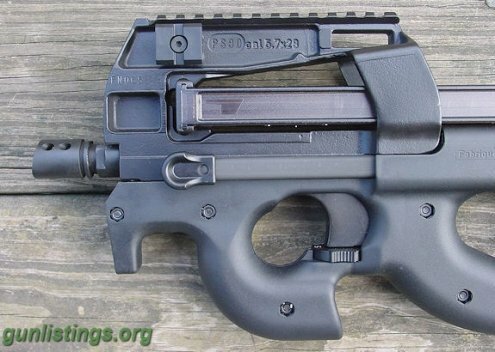 I like to make sure since people not familiar with the PS90 think the standard with removable rail is a Tri Rail since the true Tri Rails are very rare. I have a laser added to mine. I sighted the laser in at 7 yards, the red dot at 50.